Jindai-ji is not too far away from the center of Tokyo. But it’s a quiet residential area and it is famous for its temple, soba and festivals. A gardener, a soba chef, a guard man, a panel beater, a car dealer living in Jindai-ji got together to revive the rotting R32. It was parked for 10years to rot and they plan to bring it back to life. This is an introduction of a small documentary which is exclusively shown on our website! Stay tuned at GTRotaku for more! 4door GT-R was available with second generation GT-R, R33. This is the photo of that rare “Autech Version”. The body is scattered with rust and this car was deteriorating but we have decided to restore it. 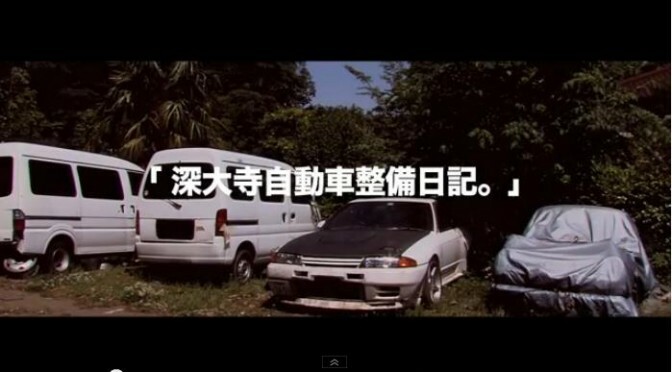 Will 4door R33 make a complete recovery?! The main feature, of the latest issue of GT-R Magazine (Vol.111), is “Life with GT-Rs” and shows you people who are enjoying their GT-Rs with various styles. Six readers have sworn to spend their lives with GT-Rs and will tell us of their tales on the love they endure towards their machines. As for the red Hakosuka GT-R(KPGC10) is owned by one of those six and to our/your surprise… the body is made of dry carbon except for roof, rear fender and back panel! Other feature articles are just as dramatic. There is an article on a driver who bought his R32 brand new, back in 1989, and has been driving it for the past 23 years, there is also a story on a driver who has driven his R32 for more than 400,000km etc. GT-R Magazine Vol.111 contents: “Life with GT-Rs”/ Prelude of BNR34 Nur engine maturity/ R33 Autech version revival/ Anatomy of BCNR33/ GT-R Magazine original exhaust development/ R’s Meeting 2013 in Fuji Speedway begins its entries etc. 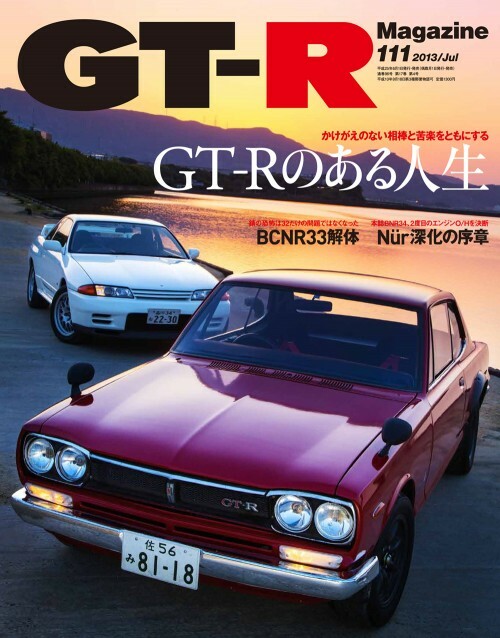 GT-R Magazine 111号の主なコンテンツ：巻頭特集「GT-Rのある人生」／BNR34 Nurエンジン深化の序章／R33オーテックバージョン完全甦生計画・BCNR33解体／Gマガ・オリジナルR32用マフラー開発プロジェクト／R’s Meeting 2013 in 富士スピードウェイ・イベントエントリー受け付け開始etc. You can purchase it online! I have absolutely no idea what this short film is on about but… who cares when it looks as spectacular as this one? Monster Energy released this short film on YouTube on 1st of April. But it was no April fools.